Weingut von Winning, Deidesheim is not a member of Wein‑Plus yet. By creating Weingut von Winning saved filter, you will see relevant matches on your home screen. 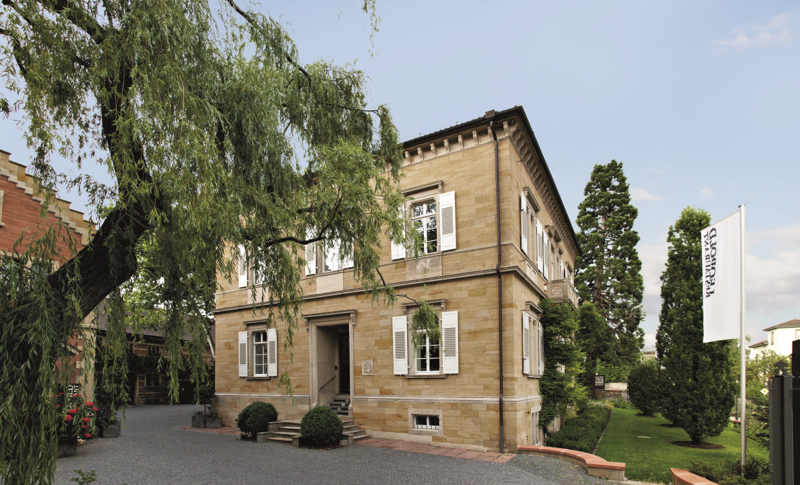 The winery is located in the town of Deidesheim in the growing area palatinate, It was built in 1849 by Friedrich Deinhardstein founded by the eponymous champagne dynasty and his wife Auguste Jordan. His son Dr. Andreas Deinhard (1845-1907) took over in 1871 and built it into one of the most important quality vineyards in Germany. Through his parliamentary activity in the Bavarian state parliament and in the Reichstag he coined substantially the phylloxera law and the first German wine law with. He earned great services to the Palatinate viticulture, including as co-founder of the German Winegrowing Association. After him his son-in-law Leopold von Winning (1873-1917) led the winery under the name "Von Winning'sches Edelweingut". In 1907, he committed himself to producing great wines in order to cope with these special situations. Through meticulous work, he raised the wines of the winery to a new level. In addition, he was a founding member of VDP (at that time Verband Deutscher Naturweinversteigerer). After his death, it was taken over by the Hoch family, who used the old name "Dr. Deinhard "reintroduced. Finally, the company was acquired in 2007 by Neustadter entrepreneur Achim Niederberger and made a change to the current name. The managing director is Stephan Attmann, as field manager Joachim Jaillet and cellar master Kurt Rathgeber. The team is committed to the vision of visionary Leopold von Winning. The Niederberger family also runs the "LEOPOLD Restaurant". In the basement traditional methods are used. Gentle processing prevents pumping. There are two different product lines. The wines of the line "Dr. Deinhard "become classic in stainless steelfresh and fruity expanded. The wines of the line "Von Winning" are traditionally fermented in wood and structured and spicy vinified. The top-fermenters ferment after gentle primary clarification without artificial cooling spontaneous with natural yeasts warm in wood. They are basically stored on the or whole yeast and become more moderate filtration without fining bottled. It also produces bottle-fermented sect. The winery is a member of VDP, Every year around 500,000 bottles of wine are marketed.